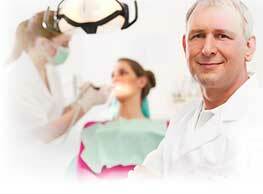 Dental or Tooth Jewelry has become a new trend in the field of cosmetic dentistry. These jewelry are exclusively designed to be used in dental field. They are mainly available as glass crystals in real 18k white gold and 24k or 22k yellow gold jewels. Most of the people use these precious stones to show off about their wealth. The dental jewels are often used in practices which involves filling of small cavities. A special coating is provided on the back of the crystal. The reflected light from the facet cut of the crystal gives a diamond-like sparkling. The dental jewelry serves as a key factor in enhancing the smiling look. Apart from smile, it improves the overall personality as well self-confidence of an individual. It makes you a style icon with perfect looks. The traditional method made use of drilling procedure to set up crystal on the teeth. However, in the modern era, to attach the crystal onto the teeth, a small quantity of dental composite material is used. This prevents any damage to the enamel or any other surrounding structures of teeth. The procedure starts with cleaning the tooth with a fluoride-free polishing paste. For convenience, an outline is made, which also makes the teeth rough. A light composite mixture is then applied onto the teeth. The jewel is properly placed and aligned on the composite. It is left untouched for about 20 seconds. In order to make the composite hard, a high-intensity curing lamp is used. This lamp is directed onto the mixture for approximately 1 minute. The jewel is safely attached to the tooth in about a total of 4 minutes. If re-mineralization is needed, fluoride is applied on the enamel.